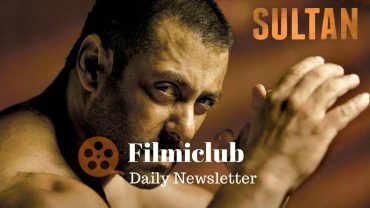 Sultan [Week 5] Fri 24 lacs. Total: 298.47 cr. India biz. Ileana D’Cruz: I’m appalled at the audacity of some journalists…why do an interview of 30mins with me when u’re just going to write whatever u want to??? Read some article that said “My family needed me to act” They NEVER needed me to act n I have NEVER EVER said that they did! My family has been nothing but supportive and my biggest strength. They only want me to do what makes me happy, & they’ve always wanted that. Salman Khan is NOT a part of Shivaay’s song, confirms Ajay Devgn! Mohenjo Daro is made with a budget of 120 crores (Production cost 100 crores and marketing 20 crores). Reportedly, ‘Mohenjo Daro’s satellite rights have been sold for a whopping 45 crores, and the music was sold for 15 crore. Prabhudheva in the talks to direct “Lefty” for AB Corporation featuring Abhishek Bachchan as the leading man. Rohit Shetty and Ranveer Singh to announce their IndoChinese film on Aug 19?